Rev. 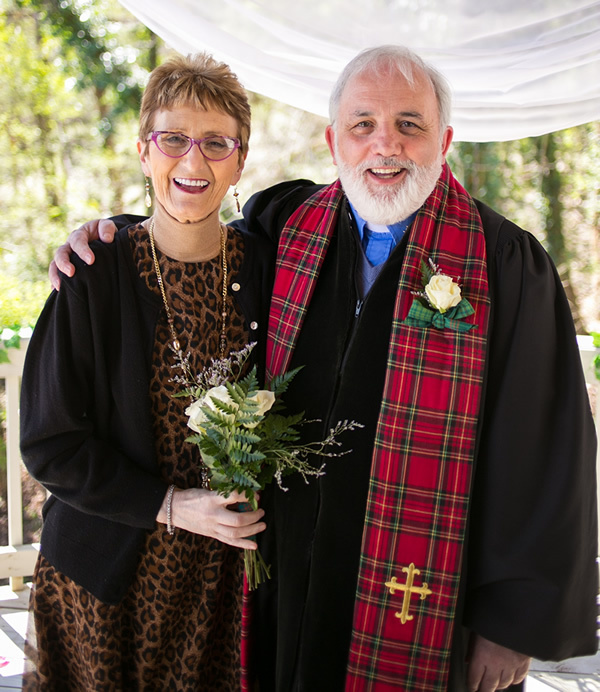 John Stuart began his pastoral ministry at Erin in 1995. A native of Scotland, he and his wife Evelyn became US citizens in the spring of 2001. John grew up in Glasgow, Scotland, and served several small churches for nine years in S.W. Scotland before accepting the call to Erin. He is an honors graduate of Glasgow University, Scotland, where Prof. William Barclay taught New Testament. Evelyn teaches 5th grade students at a local elementary school. John and Evelyn have been married for 35 years and have two daughters, both graduates of UT. Lynsey, a Masters graduate from Virginia Tech is now working at Pensacola State College in Florida. Lauren, who has a Masters Degree in International Social Work from Boston College, works as a Social Work supervisor in Knoxville. John is grateful for the ministries that the Lord has given him. His personal mission is to bring people closer to Jesus in the hope that they will give their hearts to Christ and be willing to serve His Kingdom.